St. Francis, St. Clare, Santa Rita, San Benedetto: the great saints of the Christian religion, all originating in Umbria. You will understand more of their message, learn more about their lives, with streets marked by imprints of their feet, crossing human constructions and natural landscapes and raccogliendoti, if you like, in personal meditation or religious, wrapped by the enchantment of their places birthplace. 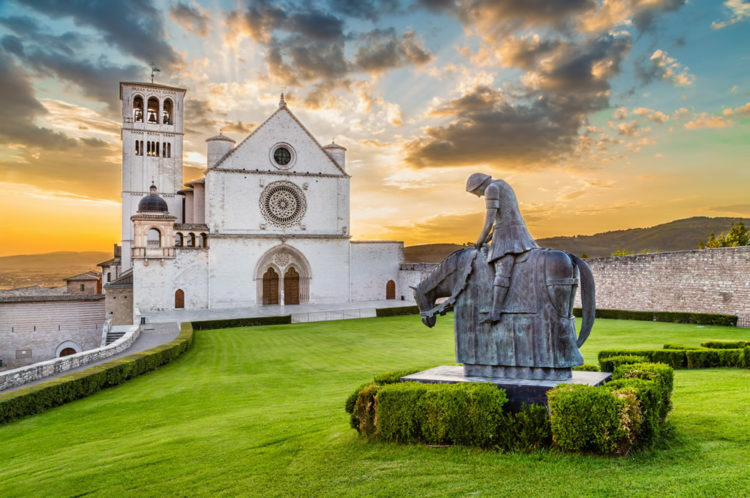 In addition to the buildings dedicated or related to the saints, as churches, abbeys and monasteries, crypts, sanctuaries, you can discover and explore an Umbrian landscape of stamp mystical, serene, collected. You will understand then why, for centuries, many inhabitants of the region of Umbria are committed to the values of peace and spirituality: a continuous path, in space and time, from San Benedetto to San Francisco and beyond, up to our time and to Aldo Capitini.